One to ten minute messages reflecting on my quest as a mom and inviting you to do the same. 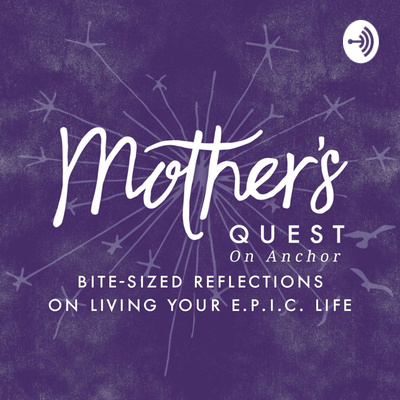 Make sure to tune into full-length episodes of Mother's Quest on all your favorite podcast apps or find show notes at www.mothersquest.com/podcast. My Big Magic Book mysteriously reappeared on my bookshelf so I started reading it this morning. The first chapter of the book, about a poet Jack Gilbert, inspired this morning’s reflection about saying “yes” to the treasures we have within. The story of when two birds were trapped in my house and the meaning I made of it. This was my Spark moment that had me say “yes” to living my E.P.I.C. life and creating Mother’s Quest. How The Good Life Project Podcast and more has influenced my vision for Mother’s Quest. There will be a part two to this story later! Missed recording yesterday so I’m perfectly recording Day #4 a day later. This reminded me of my Imperfect Action of the very first Mother’s Quest Workshop in April 2015. I realized in recording how pivotal that first step was, even though it seemed insignificant at the time. So...what Imperfect Action could you commit to today to explore some idea you’ve been dreaming about? The Big Magic Moment at the workshop with Elizabeth Gilbert that sparked my belief in things that can’t be readily explained and likely caused me to make meaning of the two birds trapped in my house. This minisode is an invitation to you to look for some Big Magic in your life and slow down to make meaning of it. A first step to your conscious creation could be buying the gift of a new experience for yourself. Mine was a birthday present ticket to Elizabeth Gilbert’s Big Magic writing workshop. I’ve decided to share stories of how I’ve created Mother’s Quest with minisodes on this sister podcast. This one just states my intention...recorded from the shower. My reflections on getting ready for my first live interview and how I integrated the advice from my 5 year old son. Ep3: Bite-Sized Action for Presence that has a Big Impact - Reflections from my challenge with TiLT Parenting founder Debbie Reber on cultivating compassion and presence. How do you want to greet your child in the morning? 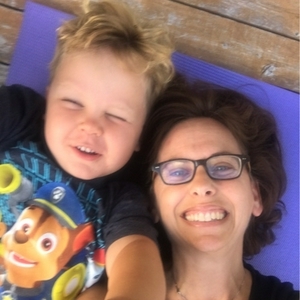 Tune into this bite-sized reflection on how making time for myself this morning changed how I greeted my son.